From her early years as a teen grime MC, to studying at Guildhall, to a career as a professional beatboxer, Nao has tread many musical paths before arriving where she is today. We’re both sat cross legged in her basement studio in East London. It’s a tiny, windowless space covered in rugs and plants, and Nao seems completely at home here. She occasionally takes breaks from our conversation to make cups of tea in the kitchen, cracking jokes and chatting with some of the other musicians and PRs who are floating around outside in the corridor. 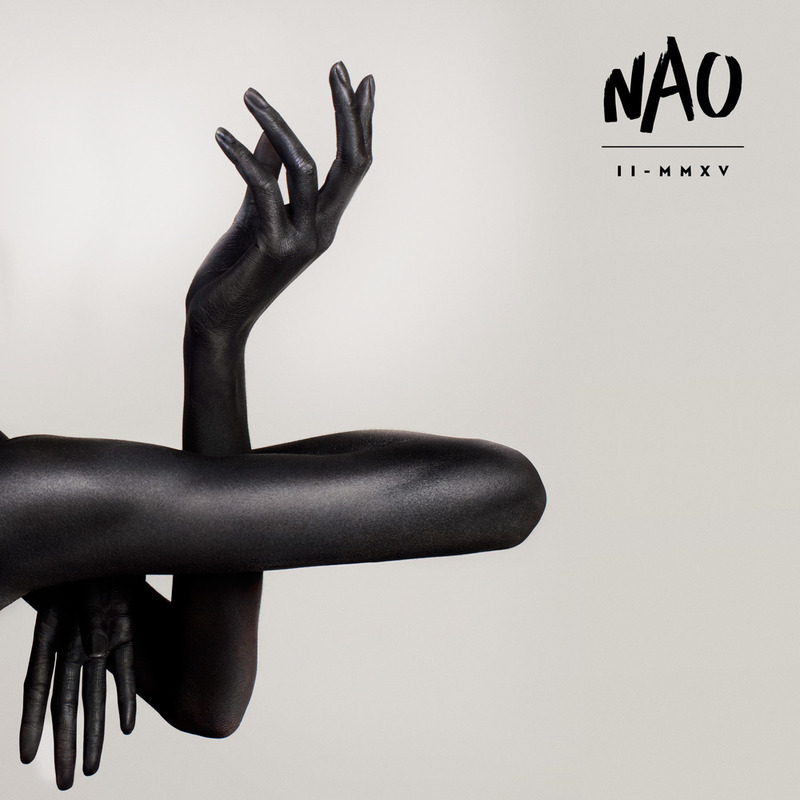 In many ways, she doesn’t seem much like the enigmatic, reserved singer I had come to associate with the name “Nao” – the same Nao who, until now, had only given a handful of interviews, and who is better known for the press image of her hands than her actual face. Instead, she comes across as easygoing and open, like an old mate. Her familiarity is contagious. Of course, over a decade has passed since Nao's “Jess. Z. J” era, and these days, nobody would associate her sound with grime. Her debut album For All We Know is a beautiful, soulful affair, smattered in an array of throwback influences, from R&B icons like Aaliyah and Janet Jackson to old school greats like Stevie Wonder, Prince and Michael Jackson. These are seminal artists, and a lesser album may have found itself bogged down or constrained by the stylistic flourishes of the past. But Nao's evolved through the groundwork these artists put in. In many ways, it feels as though she's taken all the sounds that came before her, coated them in a thick layer of futuristic gloss, and twisted them into something slicker, more avant-garde, more Nao. As she has described it, Nao makes “wonky funk”. Or rather, as she told the Guardian earlier this year, she “fucked up the basslines [of the past] and put some D’Angelo beats on it”. It was a decision that wound up being crucial, because if Nao hadn’t left The Boxettes, the events that followed may never have happened. It was around this time she started associating heavily with a core group of artists on Soundcloud, lending guest vocals to the likes of Kwabs, and becoming enamoured with the more leftfield sounds of James Blake, Little Dragon and Frank Ocean. However, it wasn’t until she started working with A.K. Paul that her own music started to take shape. It was A.K. Paul, Nao says, that gave her sonic clarity, like a pin on a compass finally settling into stillness. Indeed, where does Nao's voice sit? In the grand scheme of things, the lack of strict placement is what lays at the root of her burgeoning career. The best artists slipstream into a lane all of their own, which is exactly what Nao has been doing. From her days as a teen grime MC, to her experience as a serious music academic, to her stint as a professional beatboxer and backing singer, it feels as though Nao has tread many paths to get to where she is today. But even though she's spent years trying out her many musical talents for size, from where I'm standing, it feels as though she's only just getting started. As she continues to carve out her niche, the highway she's speeding down looks set to stretch far into the distance.